Gowanda, NY (USA) - Gowanda Electronics, a US-based designer and manufacturer of precision electronic components for power and radio frequency applications, announced that the company recently achieved qualification to the military's MIL-PRF-83446 (/36A and /37A) for its ML0603 and ML0805 series of RF surface mount wirewound ceramic core chip inductors. These are the first series in the industry to address the market need for Qualified Product List (QPL) inductors which meet this particular Department of Defense specification. The ML0603 and ML0805 Series are designed for RF applications in military, aerospace and defense communities. This includes use in communication, guidance and security applications, as well as in radar, test & evaluation and special mission applications. These series can also be used in other high frequency applications around the world where the rigorous testing associated with these QPL-approved inductors makes them desirable for high reliability (hi rel) designs. For design details, pricing, delivery, application-specific variations, upscreen and/or partnering opportunities please contact Gowanda Electronics at USA (716) 532-2234 or sales@gowanda.com . Gowanda Electronics (www.gowanda.com) is a privately held company that designs, manufactures and supplies precision electronic components for RF and power applications. 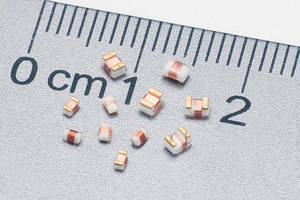 Components include standard off-the-shelf and custom-designed inductors, chokes, conicals, toroids, and other surface mount devices that are used in a wide variety of electronic applications. Gowanda's products are used primarily by OEM companies and other entities interested in high performance electronic component solutions for the equipment and devices they manufacture. Applications include use in test & measurement equipment, medical & diagnostic equipment/devices, industrial automation & control equipment, and instrumentation. Such products are used in a broad range of industries, including process & assembly industries, aviation/aerospace, defense, telecommunications, health care, data processing, security and education. Gowanda's customers include Fortune 500 companies and other significant players in these global markets. The company is certified to AS9100, ISO9001 and ISO13485 quality management standards, is ITAR registered, and offers RoHS compliant products as well as lead-containing components for QPL military/defense and other demanding requirements.